Endodontics is the area of dentistry dealing with the tooth’s pulp and the surrounding tissues. Located inside the tooth, the pulp contains nerves, veins, arteries and lymph tissue. An endodontist is a dentist with advanced training in the treatment and pain relief of pulp tissues that have become painfully inflamed or infected due to injury or disease. In addition to providing pain relief, endodontic therapy aims to save the natural tooth whenever possible. By preserving the tooth, endodontic treatment can prevent the problems to adjacent teeth that extraction (removing the tooth) can cause, helping maintain dental health and saving money in the long run. The treatment of choice when the damage to the dental pulp is so extensive that the tooth is unable to repair itself and has become infected is a root canal. This is the most common procedure endodontists perform. During a root canal, the pulp and nerves of the tooth as well as bacteria and any decay are removed. The resulting cavity is sealed off with material that prevents bacteria from reentering the tooth. Endodontists can also treat root fractures, abscesses and problematic tooth anatomy. Injury or trauma has caused the pulp to die, risking infection. The tooth’s root is fractured. Endodontic treatment generally takes one visit. Your tooth may be sensitive for several days following treatment, but this will diminish as the tooth heals and the inflammation subsides. 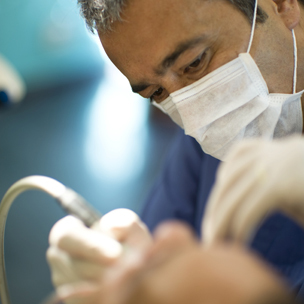 Skill and technique on the part of the Endodontist are critical for comfort during endodontic treatment. At Warshauer & Santamaria our doctors are specialists with years of experience performing endodontic therapy. We will give you care instructions after each appointment. Good oral hygiene practices and regular dental visits will aid in the life of your teeth following endodontic treatment. Feel free to contact us if you have any questions about endodontics or to schedule an oral health consultation with one of our doctors.